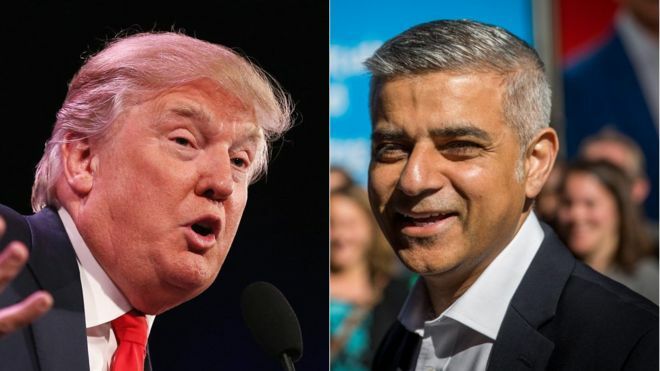 Sadiq Khan, who is not a fan of Trump said: “It’s no secret that I’m no fan of Donald Trump or the way he has conducted his campaign,” reports Evening Standard. “But he has clearly won the US presidential election. The campaign divided America and the world and emotions are understandably running high. I hope Donald Trump will now do everything in his power to unite people and bring divided communities back together. I wish him well,” he added. During his campaign Trump suggested a temporary ban on all Muslims entering the US after a deadly mass shooting in San Bernardino that officials said was inspired by the Islamic State group. However, later Trump indicated that the London mayor could be an exception to the ban. Initially, Khan rejected Trump’s offer to exclude him from the ban on Muslims entering the United States, highlighting that both the UK and the US had seen “huge benefits” from immigration. Previously Khan warned that Trump’s “ignorant” view of Islam could make both Britain and the US less safe. Demonstrators took to the streets across the United States for a third night to protest against Donald Trump’s shocking presidential election win, voicing fears that the real estate mogul’s triumph would deal a blow to civil rights. Do you really think the average Americans voting for Donald Trump know (or care) what the difference between Muslims, Sikhs, Hindus or Hispanics? If your face or name doesn’t fit then you are not accepted. You may argue you are not a Muslim, you are an American, whatever- do you think they care??! Racism is racism. If you are not white your out. your racism against Muslims is ironic.